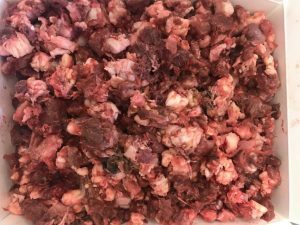 Raw feeding- all about BARF and why you should be feeding it! In a 2016 veterinary study it was found that 76% of dogs had suffered with dental disease. On a raw diet your days of worrying about teeth are over! Raw food is very high in moisture so does not stick to the teeth as a standard kibble (sprayed with sweet flavour enhancers) does. It’s also low in carbohydrate and sugars which lessen the risk of the oral bacteria associated with dental problems. Raw bones and chews – or what we like to call “Natures Dentastix” – provide that abrasive action to scrape off an plaque on the teeth, while keeping your dog happy and busy at the same time. Try duck wings for small dogs and puppies, or a nice chunky marrowbone for those bigger than 15kg. Many people have noticed a change in behaviour on the BARF diet too, with the dog being much more satisfied and susceptible to training. Hopefully a healthier and happier dog will mean less vet visits too, keeping your stress levels and and bank statements to a minimum! The simple answer is no. Your dogs body is built for raw food. Their jaws and teeth are designed for tearing meat and crunching up bone. Their saliva has antibacterial properties and their stomach is stronger than ours ( 1-2 pH level vs ours at 1.3-3pH). Your dogs digestive tract is also a lot shorter than yours, meaning they are well equiped to quickly digest animal matter compared to fibre. At Browns we like to encourage good hygiene practices too: use separate cutlery, a stainless steel or non porous bowl, never re-freeze raw foods once defrosted. Size– always select a chew that is bigger than your dogs head, or hold on to one end until they are experienced with chewing- try wings or ribs as a starting point. To find out which chew is most suitable for your dogs age and size, pop in and see us at Ferring or Goring and one of our consultants can advise you. 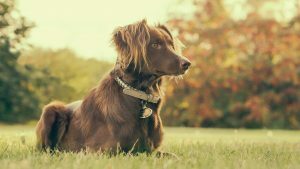 Separate– you know your dogs better than anyone, but as a general rule dogs should be separated when you are feeding a high value chew to avoid any tiffs. Definitely not! With protein it’s quality over quantity. 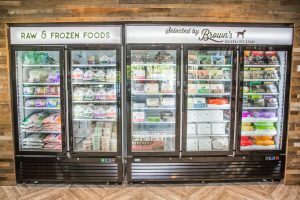 All the raw foods we stock at Browns are sustainably and ethically sourced meats from the UK or Europe, not mass produced “meat by-products”, “meat meals”, or “meat derivatives” with no traceability (unlike many lower grade dry kibbles and wet foods.) If anything, a more satisfied and healthy dog will be much calmer and happier. Our raw foods start from .85p per day to feed, based on a 15kg dog. Over the month that amounts to around £25 in total. Not at all bad when you think a takeaway coffee can cost £3, and your dog will definitely thank you for it! See below for a full price breakdown and examples of brands we stock in store. At Browns we think our raw food selection can cater to any dog. 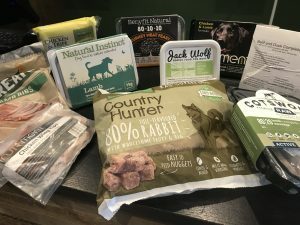 We currently stock ten thoughtfully sourced brands, from the ever popular Nutriment to the new local brand Jack Wolf. Whether you are interested in the ethical, environmental, or health standpoint of feeding a raw diet, all of our staff are fully trained and able to answer any concerns you may have. There is no such thing as a stupid question, and our consultants love a challenge!